While it’s always advisable to work with a qualified roofing professional to ensure the proper maintenance and repair of your roof, there are times when you can find and fix a leaking roof – particularly if you have some solid DIY skills. When it comes to doing it yourself, it helps to understand that there are some common leaks that pop up in roofs at one time or another. And often, these minor leaks can be fixed in just a few minutes. Let’s take a closer look at some roof repair tips. Of course, the first step in fixing a leak is identifying its source. 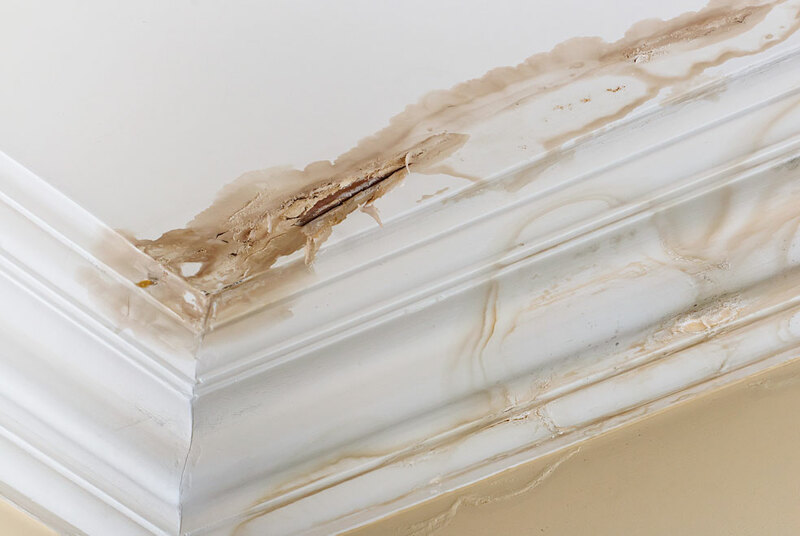 One tip is to first find the leak stains and then inspect the roof at higher points in the slope. Roof structures and penetrations are common leak sources and it’s rare to find leaks in open areas of the roof. So, if you’re looking for leaks you should check around vents, dormers, chimneys and other penetrations. It’s also helpful to inspect your attic for water or other stains that are signs of leaks. If you’re struggling to find a leak, send somebody onto the roof with a garden hose. Start by hosing the area immediately above the area of our home where the leak is emerging. If water seeps through, you’ve identified the general region for the source of the leak. This process can take some time, so be patient. If water never seeps through at the leak location, move around the area of the leak and even lift shingles to search more closely for signs of a leak. Once you’ve found the source of a small leak, you can likely identify the reason for the leak. Small nails that pierce the roof but miss framing structures are a common source for leaks. This is because moisture condenses on the cold nails and sometimes freezes – when temperatures rise, the frosted nail melts and drips. Over time, leaks form. A simple solution is to cut the exposed nail to prevent condensation from forming on the nail. Plumbing vents can sometimes crack around the base eventually allowing water to travel under the roofing structures and along the plumbing pipe. You’ll need to install a new vent boot taking care to install them using rubber washers and screws. Walls and dormers are also common areas for leaks. As caulk ages it can crack or come away from window edges and siding. Eventually, water will enter the cracks and leak into your house. To repair these areas, make sure to replace damaged or rotting siding and remove and replace old caulking. Ultimately, many roofing repairs can be done by the experienced DIY homeowner. However, if you have any doubts about your roofing prowess, always contact a roofing professional to conduct repairs.